Speaking of political fatuousness — though in this case I’ll be talking about a film I haven’t seen. 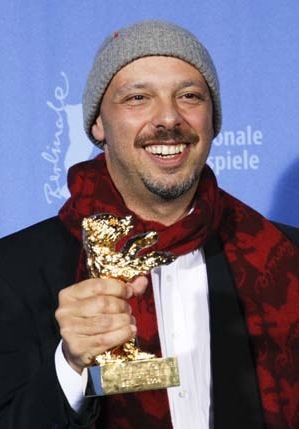 There was an international outcry at the weekend over the Berlin Film Festival, which awarded its top prize, the Golden Bear, to TROPA DE ELITE. The film about a mission by a crack Rio de Janeiro commando team marks the feature film debut of Jose Padilha, who made BUS 174, a documentary that made my Top 10 back in 2003. Padilha, helped by co-scriptwriter Braulio Montovani (who wrote CITY OF GOD, which also made my 2003 Top 10) topped a field that included PT Anderson’s THERE WILL BE BLOOD, Michel Gondry’s BE KIND REWIND, and highly-anticipated new films by masters Mike Leigh (HAPPY GO LUCKY), Hong Sang-soo (NIGHT AND DAY), Andrej Wajda (Oscar-nominated KATYN), Errol Morris (STANDARD OPERATING PROCEDURE) and others. Paul Verhoeven’s BLACK BOOK is the kind of movie that gives me and other Christian critics jock itch. The film’s entertainment and artistic value is, I think, unquestionable but, like the turd in the punch bowl, there’s a couple of “couldn’t leave well enough alone” moments of indefensible Christian-bashing. In many respects, surface trappings of “Holocaust movie” and the Dutch shadow of “Anne Frank” aside, BLACK BOOK is a throwback to the spy thrillers of the 40s and 50s. Set in a moral muddle worthy of Carol Reed’s Vienna where friend and foe shift from moment to moment, BLACK BOOK mostly follows a single protagonist Rachel (Carice van Houten) weaving her way through wartime intrigue between the Dutch Underground and the Nazis, including infiltrating the SD headquarters, at the very end of the war. But at the level of a boy’s comic-adventure serial, that might have run in Hotspur or Warlord when I was a wee lad, Verhoeven handles the genre mechanics expertly; I deliberately chose that lead image for its iconic, comic-book visual quality. He also keeps believable the shifts in alliances that take place owing to the war’s fortunes and internal tensions among both the Germans and the Dutch. He handles the set pieces, both violence and suspense, with the aplomb and verve you’d expect from the man who made ROBOCOP and Schwarzenegger’s TOTAL RECALL.